Storm chasing can be a very lucrative business in the roof repair industry. Some so-called roof repair "companies" move into a storm-damaged area temporarily to take advantage of consumers. While not all are complete scams, a roof repair con artist will take advantage of a homeowner when they are the most vulnerable. Let's face the facts: When your roof gets ripped off by a storm, you're in such a state that it's hard to recognize a roof repair scam. The storm chaser con artist will gain your confidence to trick you into expensive roof repairs. Some don't even bother to fix the roof at all, they just take half the repair cost upfront and run. Trust doesn't come easy but when your roof is damaged significantly, you have to trust someone. Here are a few tips to help you avoid being abused by a roof repair storm chaser. Make sure that the roofers you call are local. By local, the closer the better but at least in your state. You will want a reputable roof repair contractor who has been in the area for at least five years. This way, you completely avoid the storm chasers. You can check their reputation locally in various ways. Good online reviews and an established website are good indications that the company is legit. You can also ask local groups online who locals recommend. Be sure to check their standing with the Better Business Bureau. They should at least have a listing that tells you what year the company was first listed and where the roofer has been located. By asking local roofers some questions, you can avoid storm chasers who are not qualified. 1. Are you licensed in our state? - Ask for their license number and then verify that it exists in your state. In Connecticut, you can go to "https://www.elicense.ct.gov/lookup/licenselookup.aspx" and input their license number. If you live in another state, look up the roofer's information by searching for "(your state) contractor license lookup". Just input their license number. 2. Are you insured? - You don't want to just take contractor's word that they are insured. Ask them for a certificate of insurance which proves that they have liability insurance coverage (bonded) as well as worker's compensation insurance. If they refuse or can't give one to you, move on. 3. Do you work with my insurance adjuster? 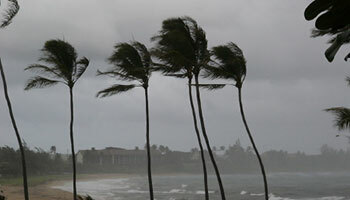 - Your insurance company will send out an inspector to assess the roof damage and other damage. Not all roof repair companies will work with your insurance adjuster, so ask when you call. This type of roofer can help you negotiate the claim payout so you get everything needed to fully restore your roof. Otherwise, you will be left on your own to cover the cost that the insurance claim won't pay. 4. Can you make temporary roof repairs to stop the leak damage? - Local roofers may be busy after storms, but many will be able to at least install a roof tarp to stop the additional damage. It may be hard to find three different local roof repair companies after so many roofs in your city are damaged by a storm. One of the best ways to avoid storm chaser scams is to get three local roof repair estimates. Roofers will be really busy, but if the company is large enough they will send someone out. Keep trying, don't settle for just one estimate no matter how desperate the situation seems. You should never pay for roof repairs before the work is completed. If the roofer asks, it's a classic sign that you are getting scammed by a roof repair con-artist. 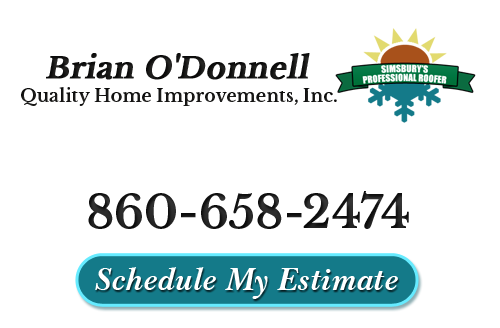 If you would like more information about Roof Repairs and how to beware of storm chasers in Connecticut, please call Brian O'Donnell Quality Home Improvements, Inc. at 860-658-2474 or complete our online request form.